Is The Montessori Method biblical? Is Montessori Education Christian? What is the Montessori Method? Is a Montessori education Christian? For over a hundred years, the Montessori way of learning has been adopted by nations from all over the world, and it’s because of the unique ways they help children learn and understand different concepts, including biblical ones. The Montessori Methods is premised on the idea that the child is naturally curious, and with help, they can reach their fullest potential as a human being. This can be achieved by observing and following their interests and needs. The Montessori Methods and its principles have created a whole new approach when it comes to childhood learning. According to Dr. Maria Montessori, children, like adults, have a great need for development, but learning goes far beyond academic concepts such as mathematics and grammar. For example, equal emphasis is given to character building and incorporating values in every learning session. Knowing that your child has an absorbent mind, and is capable of learning from their surroundings, the Montessori way builds and strengthens your child’s faith through activities and opportunities that expose them to the world of faith and Christianity. Montessori Christian Art provides education programs that can be tailor-made for Christian children, with the aim being to amplify the artist in every child, as well as engage their creative sides. During such programs, many Montessori strategies and tools are used, and playing with art increases confidence in children and gives them an appreciation for the arts. 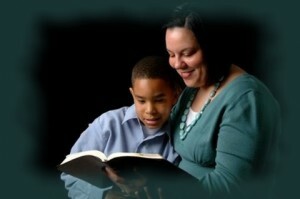 Simply reading a Bible story to your child can do wonders in building their faith foundation. Seeing biblical characters in the pages and hearing about the moral behind every account can help your child in their journey in the Christian faith. Montessori Toys, such as animal figures, can be held and manipulated by your child, as you tell the story of Noah’s Ark. One example is using their hands to guide each pair of animals into the ark, safely securing them from the coming flood. Later, they can be used to free all the animals, one by one, as God faithfully fulfills his promise to save Noah and his family, and the animals. Reading biblical accounts along with hands-on activities can reinforce biblical narratives. Music is also an integral part of the Montessori Method because of the way children easily connect to it. Using its innate auditory appeal, you can incorporate songs of praise and worship and let your child perform the action song, or simply listen to the lyrics. It’s even better if you sing along with them. With repetition and daily exposure, you’ll hear your child humming these songs while they slowly absorb the message in the lyrics. The creation account of Genesis, where God created the universe, the earth, the animals, and finally, mankind, is a great concept to base an activity on. Through Montessori supplies, such as paint, easels, or a simply a piece of paper and crayons, your child can work on painting each of the elements of the creation and reimagine how God masterfully made the world that we now exist in. Shelves filled with Montessori materials that cater to each aspect of the child’s development are common to every Montessori classroom. Taking inspiration from this, you can set up a simple corner that invites the child to pray and give thanks to God for the day’s blessings, or provide scripture cards for a daily dose of God’s word. Concentration and focus are both highly-valued in the Montessori way, simply because full attention is crucial to absorbing concepts that your child needs to understand. Similarly, having a few minutes of quiet time will allow your child to work on their own, with fewer distractions. It can be a model of peace and calmness like having the presence of God in our lives. By acknowledging your child’s space and providing them with a serene and quiet environment, you’re letting them recognize the value of being still and reflecting upon God. Simply taking a walk outside of your house can help you build your child’s faith, taking in and discussing the beauty and elements of nature. Much like the Montessori way, where natural and wooden materials are used, a simple tree spotted outside your home can help you teach the story of Zacchaeus and how his yearning to see Jesus prompted him to climb the sycamore tree. Being outside with your child or grandchild will provide you with more opportunities to share Bible stories with them, and to grow their appreciation of God’s creation. Dr. Montessori’s observation on how children are naturally-inclined to sensorial learning, and how it facilitates their understanding of concepts, can be a meaningful and beneficial way to help introduce and sustain the seemingly abstract concept of faith to your child. 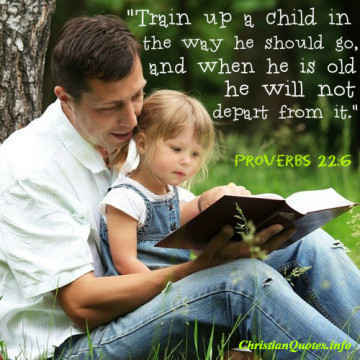 Creating a prepared environment that not only feeds the intellect but also nourishes and promotes the building of your child’s character and faith, is a gift you can impart to your child as they grow. Besides, the Bible tells us to “Train up a child in the way he should go; even when he is old he will not depart from it” (Prov 22:6). Author Bio: Originally from the U.S., Rana Tarakji is a web content specialist who now lives and works in Beirut, Lebanon. Rana’s work has appeared in a wide range of publications in print and online, including Life Hacker, Upwork, Christian Today, Newswire, and many other outlets, including HolyArt.com/blog. Previous post: What Is Glossolalia?